CA/ICWA from a Govt. Recognized University/ Institute. Desirable Knowledge of SAP & Computer + Minimum 21 years Executive Experience in Finance & Account in Govt. Metro Rail/Govt. Organization/ PSUs. The candidate must be presently working in IDA pay scale of Rs. 43,200-66,000/- or in CDA pay Scale of PB-4 with GP.8900/- or worked at least for 4 years in 36600-62000 or CDA PB-4 with GP 8700/- as on closing date. Experience should be in different areas of finance & Accounts Viz. Corporate Accounting, Financial Management, Taxation – Direct/ indirect, Treasury Management, Corporate Governance, Tender Evaluation, Vetting of Contracts / Offers / Estimates and IND-AS implementation. Selection Procedure: The shortlisted candidates will have to appear for Written Test / Personal Interview on the scheduled dates and time with all original documents/ testimonials and experience certificates. The interview will be held at Metro House, 28/2, Anand Nagar, C K Naidu R d , Civil Lines, Nagpur - 440001. No separate communications by post will be sent to the candidates individually. The candidates are required to go through the instructions for Written Test /Personal Interview sent along with E-mail and appear for the said test accordingly along with original copies of testimonials. 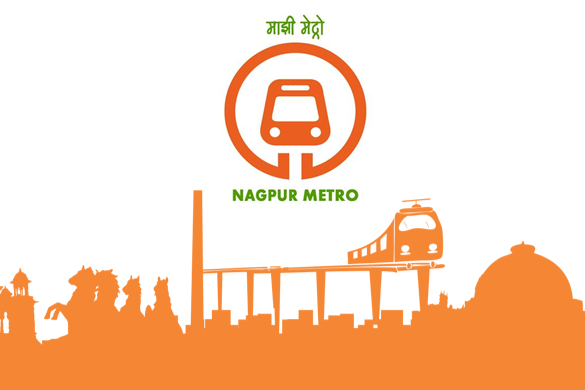 The candidates should be in constant touch with MAHA METRO website www.metrorailnagpur.com for updated information.